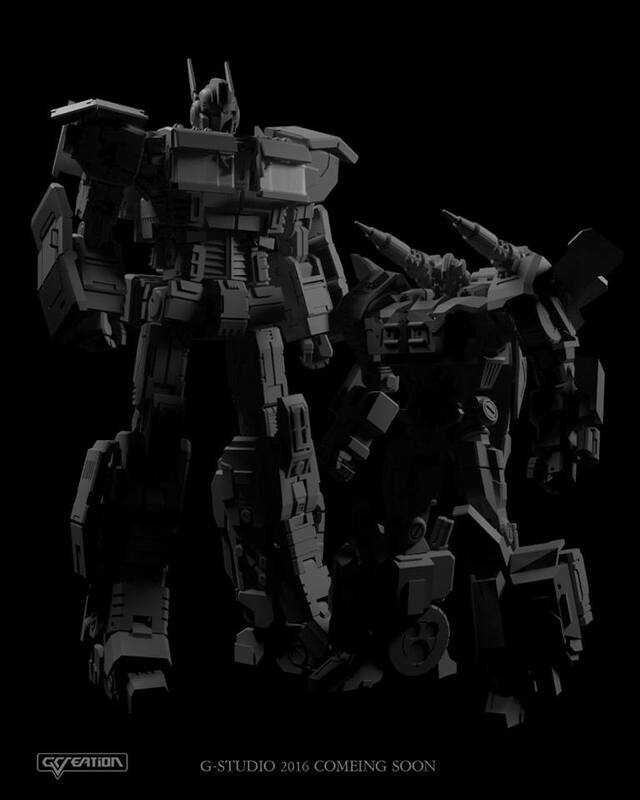 Third party group Gcreation, known for their unofficial Dinobot combiner Shuraking, has revealed on their Facebook page plans for a Masterpiece sized Optimus Prime and Prowl from their IDW appearances, for now labled GDW01 and GDW02. We currently only have one image of prototypes that are in low lighting, so details are sparse for the time being. What we do know is this project will be Masterpiece scaled, no price has been determined yet, and this will not delay the progress of Shuraking (a sigh of relief for those finishing that line). We have two threads to discuss the projects, you can » Continue Reading. The post Gcreation Reveals Masterpiece Inspired IDW Optimus Prime and Prowl appeared first on Transformer World 2005 - TFW2005.COM. 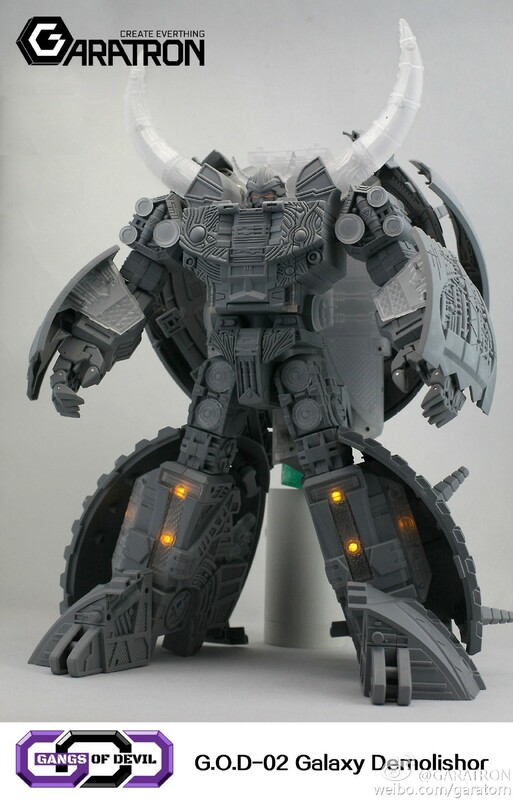 Garatron 3rd Party Unicron Revealed! Well, if anyone ever wondering if a third party might enter the ring to take on HasTak’s Unicron, you now have your answer! Spotted by TFW2005 user Daimchoc on Garatron’s Weibo, we have our first look at the tower of planet munching power that is G.O.D. 02 – Galaxy Demolisher! This guy looks to be the largest single third party figure to date, towering over both Cybetron Primus, and Armada Unicron both. This bad boy features rings and an aesthetic similar to the regretfully unproduced Beast Wars Neo Unicron(MAKE IT HAPPEN HASBRO AND TAKARA! ), and LED functions included in » Continue Reading. The post Garatron 3rd Party Unicron Revealed! appeared first on Transformer World 2005 - TFW2005.COM. Next up in our coverage of the Combiner Wars Legends Wave 5, we’ve got a look at Pipes! Pipes is destined to be that unfortunate member of the assortment who gets overlooked in favor of his brethren. 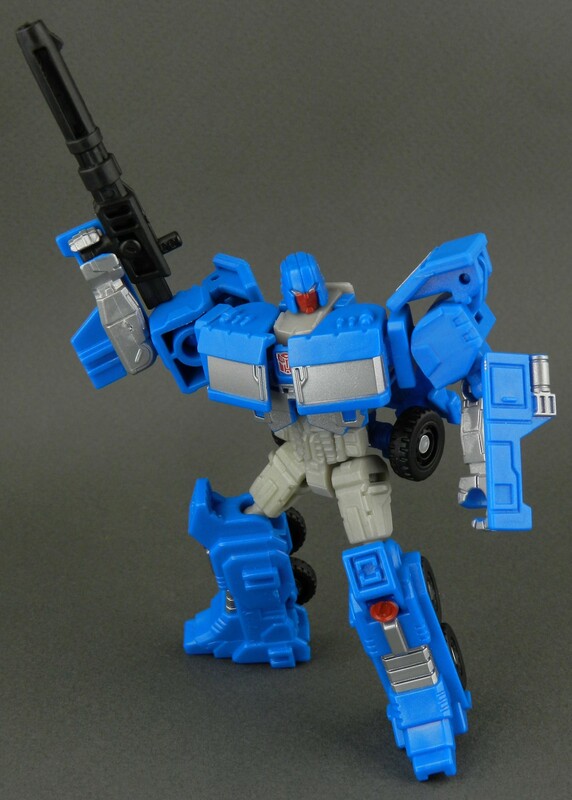 We’ll get the bad bit out of the way first, yes, Pipes is a straight up redeco of Huffer, with no new head, and as Huffer was a remold of Optimus Prime, this one is Pipes in name and being a blue truck only. On to the good points, Pipes is a very nice blue truck. The deco is nicely done and » Continue Reading. The post Combiner Wars Pipes In-Hand Gallery appeared first on Transformer World 2005 - TFW2005.COM. 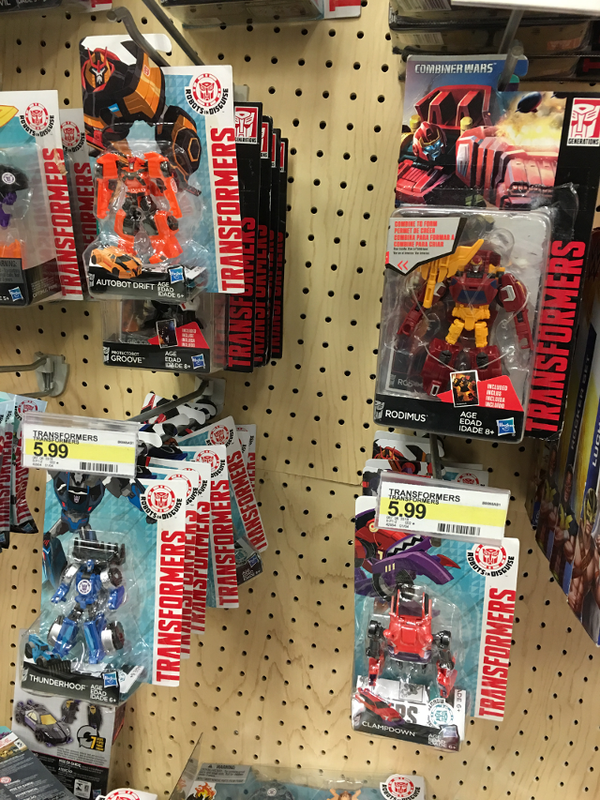 Thanks to TFW2005 member Deceptigtar, we can also report that the second assortment of Robots in Disguise Deployers has made an appearance on US store shelves. Robots in Disguise Deployers Wave 2 features Blizzard Strike Drift, a redeco of the earlier toy, and newcomer Overload, who can launch the new “Cyclone” type Mini-Cons. Each figure also comes with a partner Mini-Con, Drift comes with a Blizzard Strike version of Jetstorm, and Overload comes with Backtrack. Both of these were spotted in a Walmart in Bay City MI. Happy hunting, one and all! The post Robots in Disguise Overload and Blizzard Strike Drift Deployers Released at US Retail appeared first on Transformer World 2005 - TFW2005.COM. 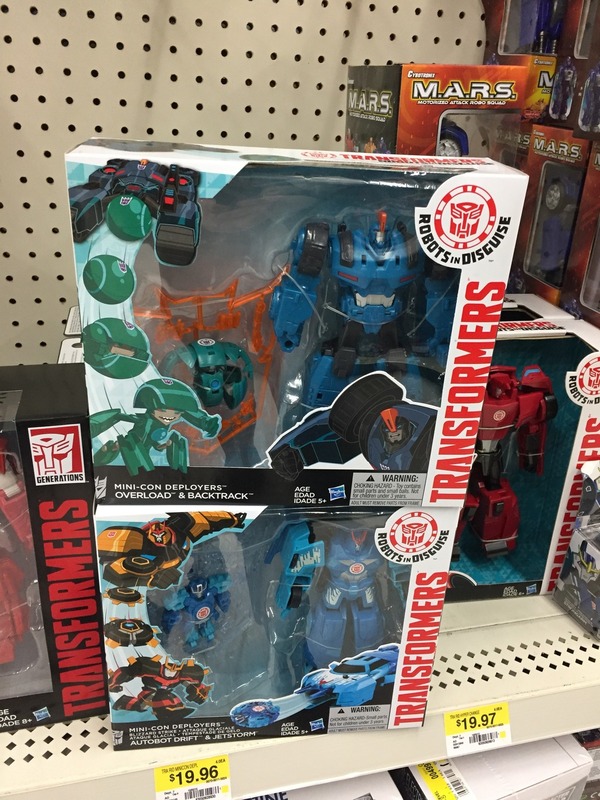 Courtesy of TFW2005 boards member InfinitePuddle, we’ve got news that the latest assortment of Robots in Disguise Legion class toys have arrived at US retail stores. Robots in Disguise Legion Wave 6 includes Thunderhoof, Drift, Windblade, and Clampdown, and has been available online and abroad for a while now, but to our knowledge this is the first time they have appeared at bricks & mortar retail. The assortment was sighted in the American Fork Target in Utah. The post Robots in Disguise Legion Clampdown, Thunderhoof, Drift and Windblade found at US Retail appeared first on Transformer World 2005 - TFW2005.COM. The post Wonder Festival 2016 Images! appeared first on Transformer World 2005 - TFW2005.COM. We’re kicking off the next wave of our gallery updates of the most recent assortment of Combiner Wars toys, and this time we are focusing on Combiner Wars Legends Wave 5. Leading off with our coverage on this assortment, we’re giving some love to the Decepticon spy, Buzzsaw! A new mold, Buzzsaw is a pretty cool little guy. A triple changer, he can switch between smartphone, vehicle, and condor modes, and this is a really clever move on Hasbro’s part to do a “real gear” Transformer while also offering an alternate mode that you can “play” with. The vehicle » Continue Reading. The post Combiner Wars Buzzsaw In-Hand Gallery appeared first on Transformer World 2005 - TFW2005.COM. iOS news website 148Apps is reporting a new Transformers game arriving exclusively for Apple TV. 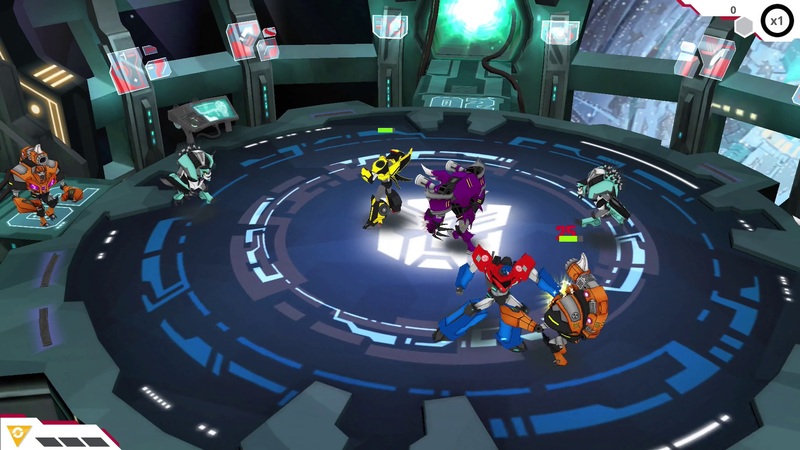 Titled as Transformers: Robots In Disguise – Autobots Unite, the game is an altered port of the “Decepticon Tower” mini-game from the Transformers: Robots In Disguise mobile game by Marmalade Games. Judging by the screenshots, added features include a two-player co-op mode. It is assumed that this port is optimized to use with Apple TV and its remote as well as third party controllers supporting the device. While the original game was free to download and play, the Autobots Unite game is $2.99 but without any additional in-game » Continue Reading. The post Transformers: Robots In Disguise – Autobots Unite Game Arriving To Apple TV appeared first on Transformer World 2005 - TFW2005.COM. As always, Zap2It is revealing the names of the first two episodes from Transformers: Robots In Disguise Season 2. Titled as Overloaded part 1 and 2, there is a good chance to see Overload as a new villain. The Decepticon name for the show was first trademarked by Hasbro back in 2014 along with Strongarm following the trademark for the show itself. Adding happiness to this news post is the possible US Release Date for the show which is February 20th. Earlier, March 6th was advertised at the Premiere Date of the new season. RID fans are just two » Continue Reading. 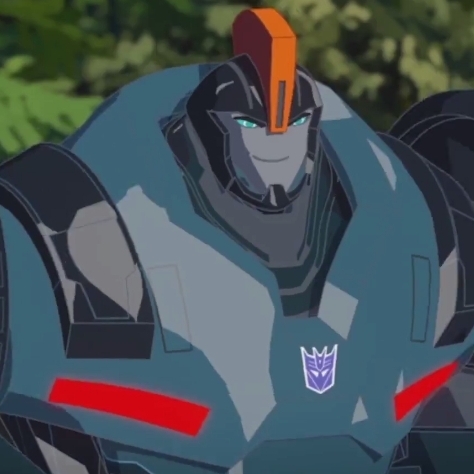 The post Transformers: Robots In Disguise Season 2 First Two Episode Names Revealed appeared first on Transformer World 2005 - TFW2005.COM. 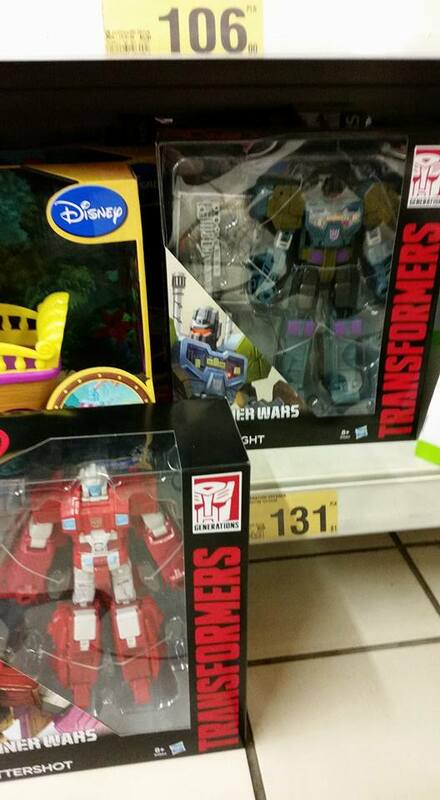 We’ve got word from TFW2005 member Printformers that there’s a whole lot of new Transformers sighted in Poland. Spotted in the Auchan store in Warsaw near Piaseczno, we have sightings of all the most recent assortments of Combiner Wars (the previously sighted Wave 5 Legends, Deluxe Wave 5 aka the Combaticons, and Voyager Wave 5 aka Scattershot and Onslaught). But that’s not all, as the Robots in Disguise Mini-Con VS Two-Packs have also been sighted. Happy hunting one and all! The post Combiner Wars Combaticons and Robots in Disguise Mini-Con VS Packs out in Poland appeared first on Transformer World 2005 - TFW2005.COM. We’ve got word that the Angry Birds Transformers mobile game is rolling out some new content for Chinese New Year. The loading and post mission screens have been updated, as has Astrotrain. The levels even sport Chinese pagodas in the background. As with any good event, the game is also offering a chance to win a special event-character, “Epic Optimus Prime”, who is a “fire guts” orange, red, and black version of Optimus Prime wearing a dragon hat. Evidently he may be won by completing a series of daily events. A big thanks to TFW2005 members prime roller and TacticalBacon » Continue Reading. 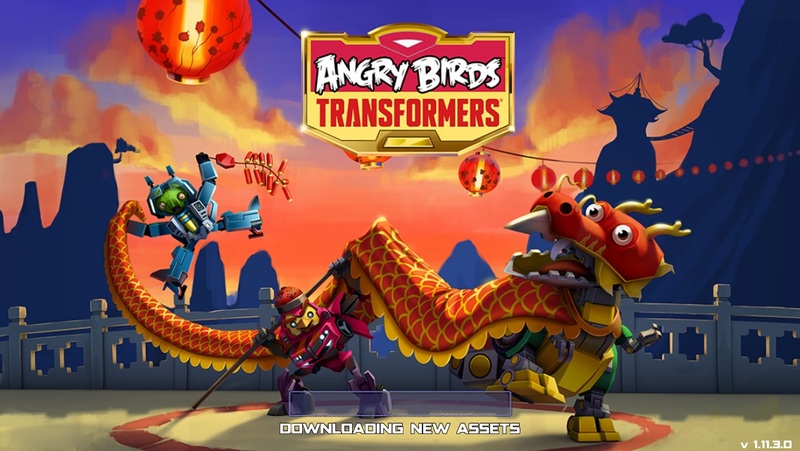 The post Angry Birds Transformers updates for Chinese New Year appeared first on Transformer World 2005 - TFW2005.COM. Takara-Tomy’s Transformers website has updated with some images showing off a new exclusive which will be offered in the future. 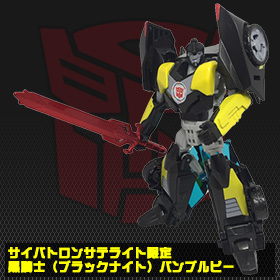 Black Knight Bumblebee is a mostly black with yellow highlights version of the Autobot scout-turned main character of the Robots in Disguise series, similar to the US release Night Ops Bumblebee, but with a few variations in the paint which make him stand out compared to the aforementioned redeco, such as a deep red colored sword. There are no details on a release date for this one, other than that he will be offered through the Cybertron Satellite campaign, » Continue Reading. The post Transformers Adventure Black Knight Bumblebee Exclusive Revealed appeared first on Transformer World 2005 - TFW2005.COM. TFNation have announced the next guest for their 2016 convention. 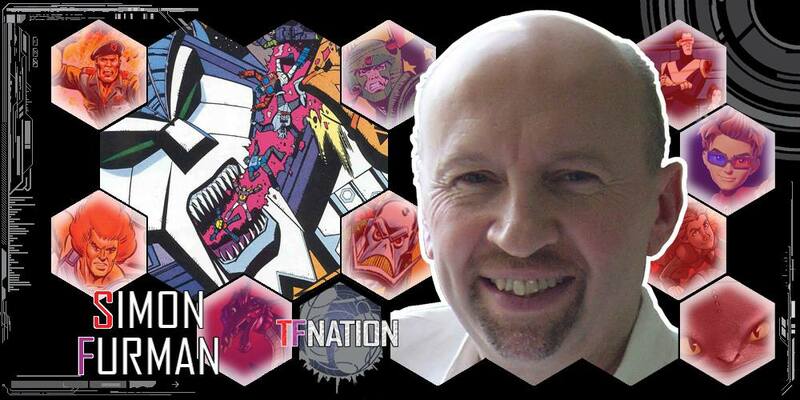 Joining TFNation for its inaugural show is the one and only Simon Furman! Simon Furman is someone who needs little introduction to the Transformers fandom. One of the great contributors, Simon is responsible for writing and codifying the Primus and Unicron story that underpins much of the wider Transformers mythos. He created the concept of there being 13 original creations of Primus, and the Liege Maximo in particular. His writing has seen him contribute scripts for comics and story arcs to Marvel, Marvel UK, Dreamwave, and IDW. And that’s » Continue Reading. The post Simon Furman to Attend TFNation 2016 appeared first on Transformer World 2005 - TFW2005.COM. 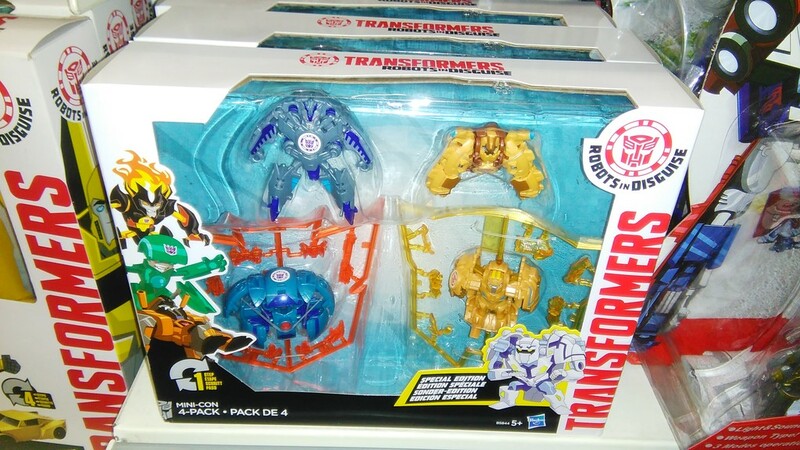 More happy sightings news for those located in Hungary – courtesy of TFW2005 member BB Shockwave, we can report that both the Robots in Disguise Mini-Con Four Pack and also the Mini-Con VS Autobot two-packs have been sighted at Hungarian retail. BB Shockwave reports that both items were gracing the shelves of his local “Regio” store. Also of note is that the Combiner Wars Combaticons – which we reported were out in the region courtesy of Jatekshop web-shop – were also spotted on shelves. The post Robots in Disguise Mini-Con Four Pack and VS 2-Packs Released in Hungary appeared first on Transformer World 2005 - TFW2005.COM. 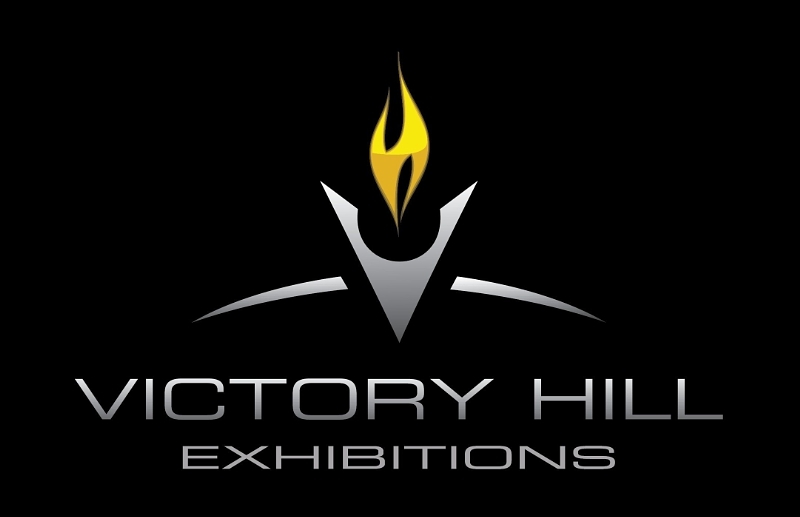 Victory Hill Exhibitions Pte Ltd has brought on board two experts on the field of Theme Parks & Attractions to manage their upcoming Transformers and Avengers shows in Las Vegas. They have appointed Daniel Pearce as general manager and Michael Mattox as director of technical operations. Prior to joining Victory Hill, Pearce served as director of retail operations for MGM Grand Las Vegas Hotel & Casino. Mattox was most recently director of theatrical services and entertainment operations at SeaWorld® San Diego. The Transformers Experience and Avengers S.T.A.T.I.O.N., combined, will occupy approximately 30,000 sq ft of Treasure Island’s newest retail complex. Avengers » Continue Reading. The post Victory Hill Hires Daniel Pearce And Michael Mattox For The Transformers Experience appeared first on Transformer World 2005 - TFW2005.COM. 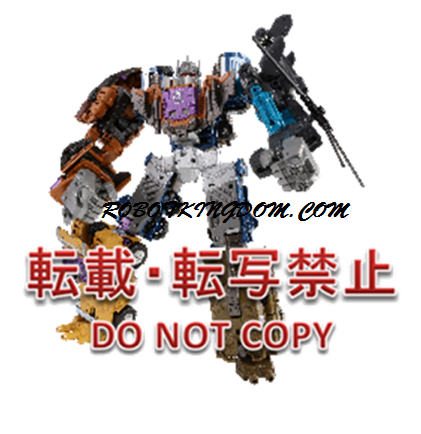 Thanks to site sponsor Robot Kingdom we have our first look at what Unite Warriors 07 Bruticus will look like in color. Recent rumblings are saying that Wave 2 2016 voyagers will not feature a brown, cartoon accurate combiner chest on Onslaught. This set looks to satisfy fans of the Generation 1 cartoon. Unite Warriors 07 will feature a brown/purple combiner chest, color matching foot pieces for Brawl and Swindle, cartoon accurate colors for each member. While these images are low-res, we still get a very good indicator of how this anticipated figure will look! The post Low-Res Colored Image of Unite Warriors Bruticus appeared first on Transformer World 2005 - TFW2005.COM. TFW2005 friend and sponsor Robot Kingdom has seen through an update for your viewing pleasure. Plenty of Transformers and non-Transformers items highlighted below! Read on for the full newsletter. Hi, Here is a quick update from Robotkingdom. The Chinese New Year holiday will start from 8th Feb until 10th Feb 2016. All shipment from 6th to 10th Feb will be postponed until 11th Feb 2016. For orders placed during this period, the preparation time might be longer than usual. Please be patient for shipments and emails reply. Robotkingdom Wish you a happy Chinese New Year! Kung Hei Fat Choi! » Continue Reading. The post Robot Kingdom Newsletter #1311 appeared first on Transformer World 2005 - TFW2005.COM. Thanks to board sponsor The Chosen Prime’s facebook page we have our first look at the final production of X-Transbots Arkose. 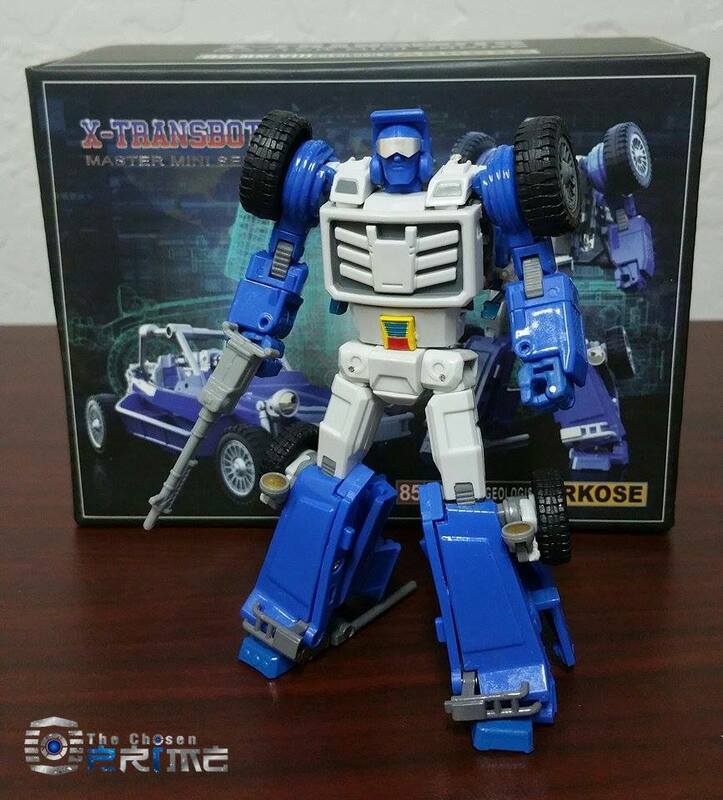 Arkose is the part of their Mini Masters line and is their take on a Masterpiece style versions of Generation 1 Beachcomber. Included with this release, which was listed as a pre order bonus, is an extra golden right hand as well as 3 miniature bird figures that pay homage to “The Golden Lagoon” Transformers Generation 1 episode. The Chosen Prime has received a small amount of these already so with any luck they will be arriving at other retailers here shortly! It’s » Continue Reading. The post X-Transbots Arkose Final Production Images appeared first on Transformer World 2005 - TFW2005.COM. 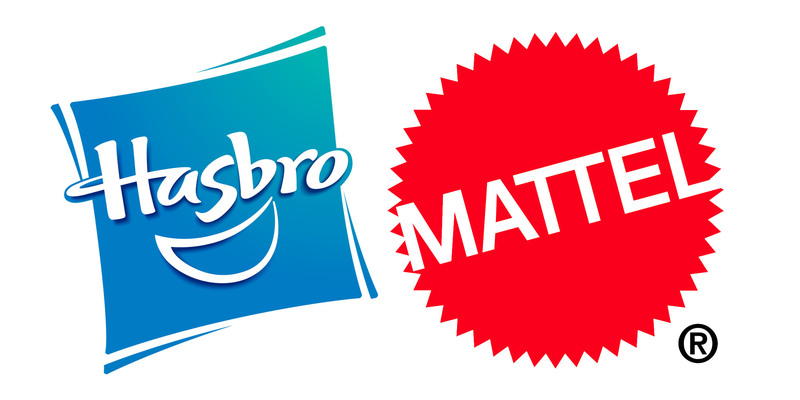 Hasbro and Mattel – Merger Talks Happening? Finally – we might be getting those Batman Transformers toys we’ve all been dreaming about! Okay, probably not, but an interesting article popped up recently from Bloomberg Business that states that the two largest toy companies in the world – Hasbro and Mattel – are having talks about merging both companies in to one mega toy company. Interesting snippets from the article are as follows: Hasbro Inc. and Mattel Inc. have held talks about merging two of the world’s biggest toymakers, according to people familiar with the matter, in a deal that would bring together the owner of » Continue Reading. The post Hasbro and Mattel – Merger Talks Happening? appeared first on Transformer World 2005 - TFW2005.COM. More news coming in for our fellow fans north of the border! 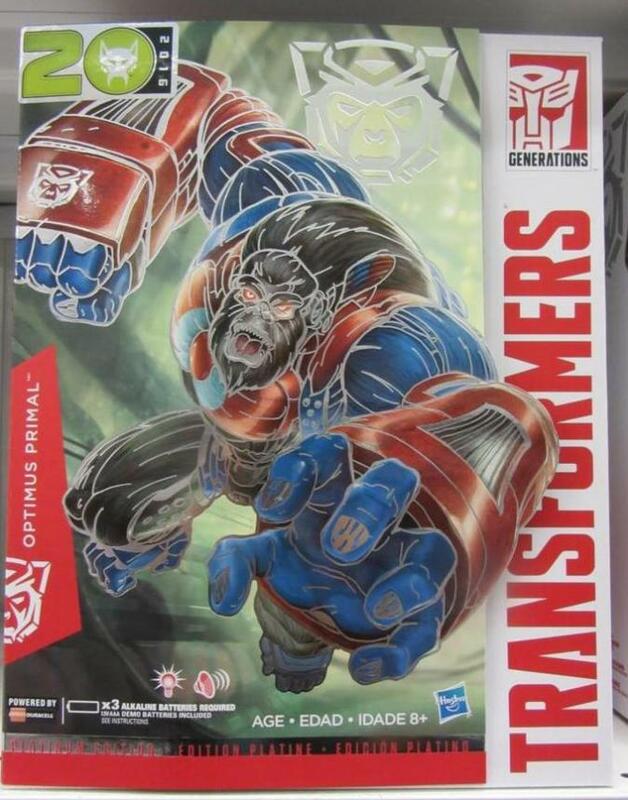 Via Cybertron.CA we can report that the Platinum Edition Year of the Monkey Optimus Primal has been released in Canada. This version of the Supreme class toy that was released under the Robots in Disguise line sports the red and blue of Optimus Prime, or if you prefer, Primal Prime. Cybertron.CA member Outtsyder reports that this monkey was gracing shelves in a Toys R Us in British Columbia. 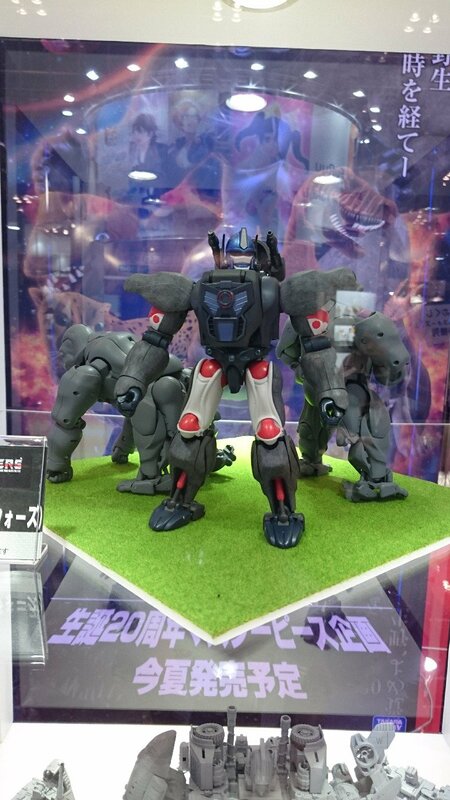 The post Year of the Monkey Optimus Primal Released in Canada appeared first on Transformer World 2005 - TFW2005.COM.